Sakura Solid Marker tough marker for tough jobs, the Solid Marker is solidified paint in a marker stick. It marks through oil, grease, rust, mud, snow—inside or outside. Dries within minutes, and is permanent once dry. Solid Markers won’t fade or wash off like chalk. The special “stay fresh” twist mechanism keeps paint fresh and ready to use. 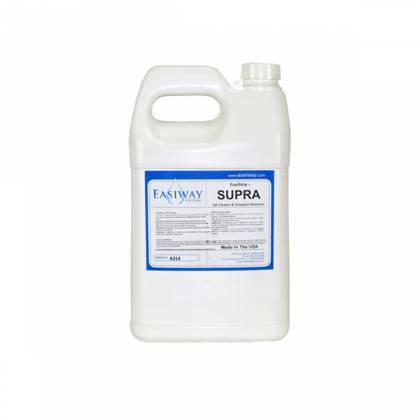 Ideal for use on wood, cloth & canvas, plastic, steel & iron, rubber, cardboard, glass, fiberglass & concrete. 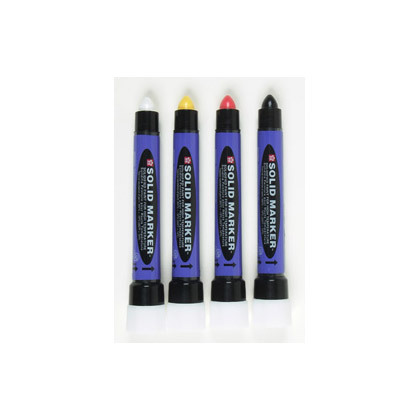 Solid marker features a tough, broad stroke, is quick-drying and virtually odorless. This marker is widely used in commercial and industrial applications in construction, pipelines & drilling, assembly lines, automotive tires & windshields, HVAC, plumbing systems or with stencils. Available in 11 colors: black, red, blue, green, purple, orange, yellow, white, fluorescent lemon, fluorescent orange and fluorescent pink. Working temperature range: 14°F to 392°F (-10°C to 200°C) 13 mm wide mark can be trimmed with knife for smaller marks. 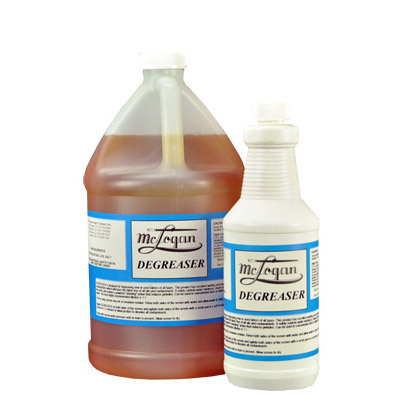 Alcohol based cleaners will remove ink from non-porous surfaces. Fluorescent colors are not lightfast. Meets ASTM and ACMI non-toxicity standards, and is AP seal certified. PREVENT GRAFFITI ! This product is intended for industrial and commercial purposes only. Defacing public or private property is illegal under state and local laws and possession of such products is similarly illegal for minors. Acceptance of this product for distribution and sale acknowledges your company’s responsibility in distributing and reselling this product for legal purposes only and restricts the sale to minors under eighteen years of age, where State and local laws apply.